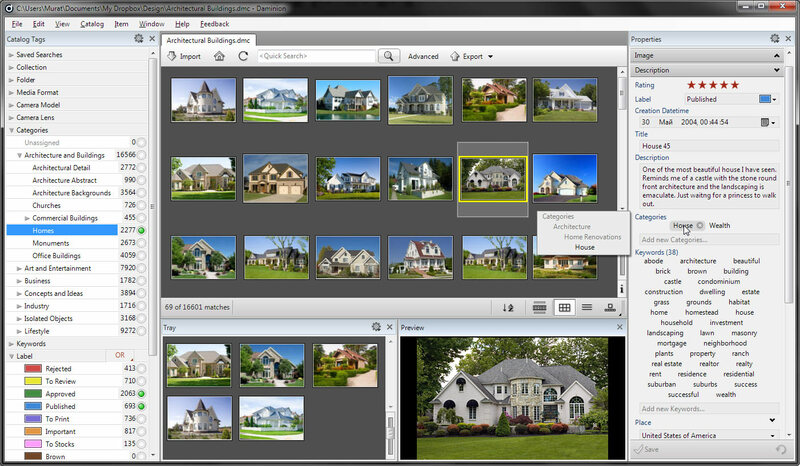 Easy to use and easy to install, Daminion is the best-in-class low-cost digital media asset management software (DAM). Assets you can`t find are as good as gone - Daminion`s quick, powerful searches can save you money and headaches. Broad format support, one-click optimized export, metadata (XMP, IPTC, MWG) marking and lightning-quick searches make the program the only solution you`ll need.